Esk Mapping & GIS were engaged by Southern Water throughout this 18 month project as System Administrators of the field data collection, centralised GIS, integration, scheduling, reporting and ongoing management of all facets of the WMT Project from a data perspective. Esk Mapping & GIS provided two full time staff for the majority of the project management and 3 staff members for specialist support as required. Scheduling of up to 20 Southern Water field crew was carried out for the identification of services, as well as Quality Assurance of installations. Daily maps were provided to the field crew, as well as technical support relating to the field hardware and software. Analysis and collation of data to be uploaded into Southern Water's billing and asset management systems. Continuous liaison with, and management of, external contractors. 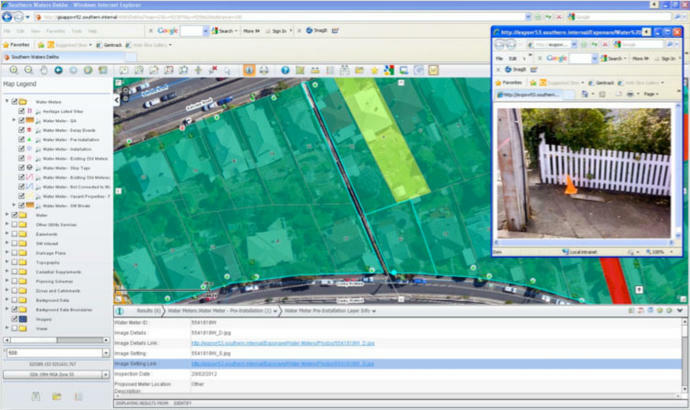 Esk Mapping & GIS have been an integral part of the Residential Water Metering Project for southern Tasmania, as well as providing specialist advice for the parallel Non-Residential project, including setup of key reporting, data structures, and mentoring for the current System Administrator. Southern Water won the Tasmanian 2012 iAward, in the e-Logistics and Supply Chain category, for the Project Management Tool for the Water Metering Project. 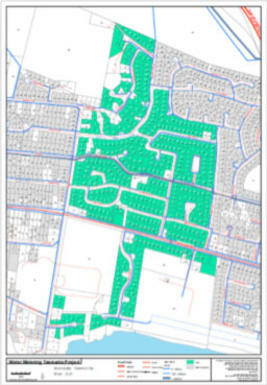 "Esk Mapping & GIS (Steve Giudici and Phil Bessell) provided a critical role in the installation of 52,000 residential water meters across southern Tasmania. 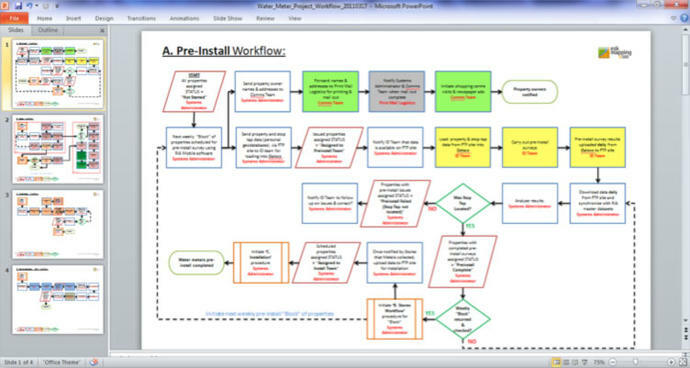 Their role as System Administrators included the scheduling of multiple resources for the location of water connection (stop taps), providing work packs to Skilltech for water meter installations, and scheduling more resources to inspect the quality of the installations. As well as facilitating literally thousands of data transactions on a daily basis, they also prepared daily, weekly and monthly project reports for a variety of stakeholders, including the Southern Water Board of Directors. Esk Mapping & GIS were a critical part of the Water Metering Project Team, and their valued contribution enabled a successful project outcome."